Melrose is the oldest town in the Flinders Ranges, and is a pretty little spot around 3 hours out of Adelaide. 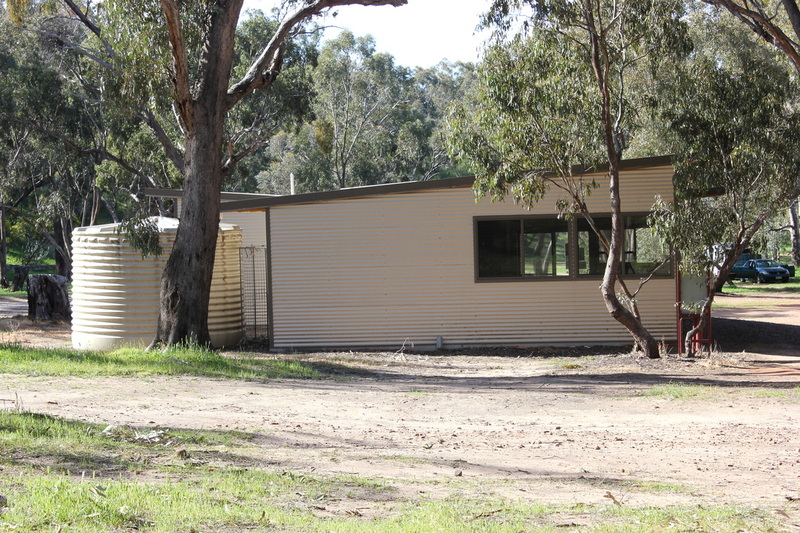 Coming from Adelaide, head through Murray Town, and a short drive from there, is Melrose Caravan Park. Now, technically speaking, bush camping in a caravan park is not really bush camping! 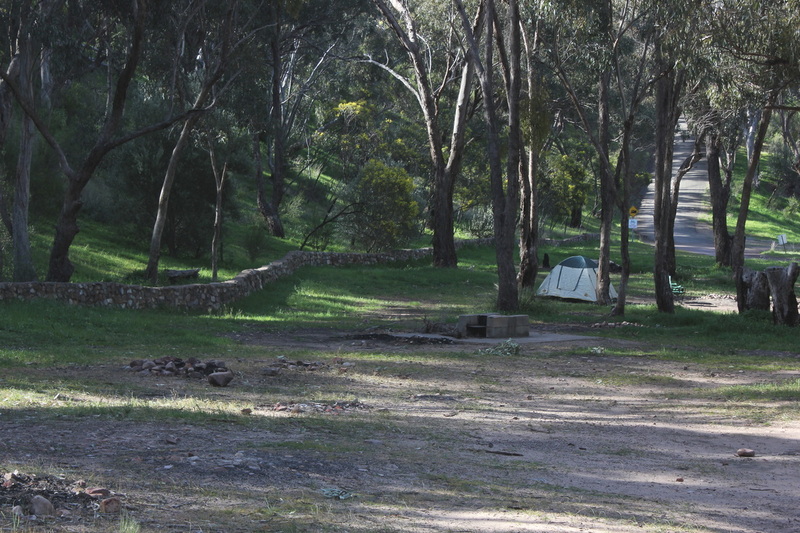 But what sets this Park apart from some others we have stayed in (in tents) is that the bush camping section is clearly divided from the caravan park by crossing a large creek bed (nearly dry when we were there in September). The Caravan side of the Park is standard caravan park style. Powered sites are close together, offering varying amounts of shade and no privacy between sites. There are amenities blocks, and a variety of cabins. The Park itself is about 2 minutes walk from the main road through town, but the town is quiet, so traffic noise is not a problem. In fact, if you have forgotten something, need ice, food, drinks or a meal, then its all very close (and very convenient). 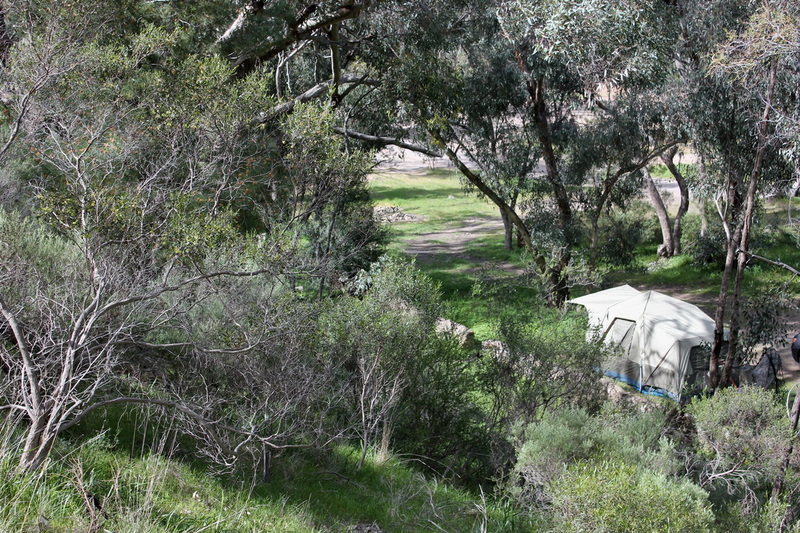 The bush camping side of the creek has a camp kitchen and 4 flush toilets (in one block). The toilets are old and looking a bit tired and could do with some rejuvenating, but to have flush toilets when you camp is a bit of a luxury. The camp kitchen comprises of 2 cooking areas and eating area. Whilst there are 2 electric stovetops, only one is functional with a message advising that the second is turned off (I think its a permanent thing?). There are 2 small bar fridges as well, so if the camp kitchen got busy, ability to cook and refrigerate your food could be problematic. It is adequate for your needs, and like the toilets, it’s a nice option to have open to you should the weather be poor. There were no BBQ’s in the bush camping area that worked or were in any condition to be used. There are no designated campsites. It works on a first come, first served basis, and you can set up anywhere you like. There are plenty of spots for camper trailers that are flat. Fires are allowed in season, though if in any doubt, enquire at the front office. There are no established firepits – it really was a case of wherever you want your fire, just build it there. Our campsite had 4 distinct places where fires had been built (and rocks surrounded the fireplace). Bins are scattered throughout the camping areas. Some bins are empty drums that have no lids – this means that food scraps etc. have been placed in there and its all open to flies and animals. The owners should replace all these drums to keep the area cleaner. 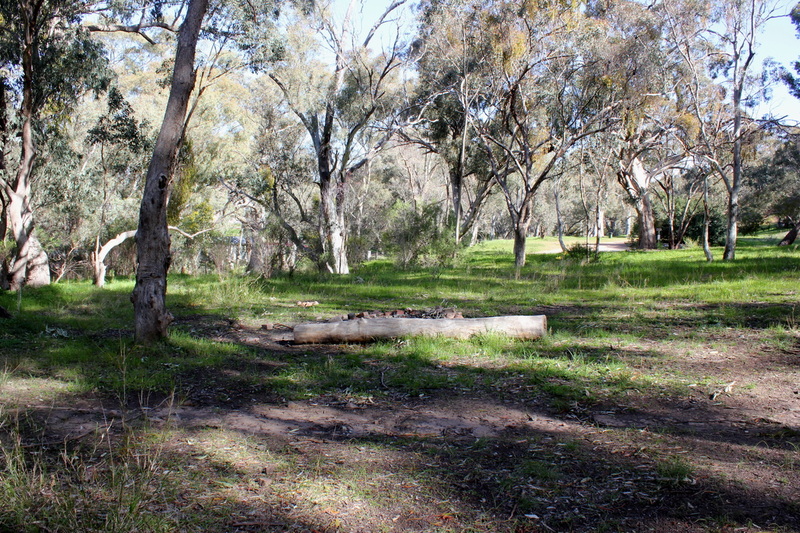 Climb to the top of Mt Remarkable – a not too steep climb (around 12.5km return) providing views across the valley. Normally when in the Flinders we see a lot of kangaroos and emus. We saw none here! Saw roo poo but that was it. I think as far as bush camping in an established park goes, this is a good one. It reminded us of Mambray Creek camping in many ways (but less crowded than Mambray can get sometimes!). For bush camping its not cheap compared to paying fees in a National Park. It cost us for 2 nights $60 (which was for 2 adults, 2 children). But you are paying for the convenience of having toilets, camp kitchen or a shower in the caravan park section. Depending on what sort of camping you like, then some of these smaller comforts may make it more appealing to you. 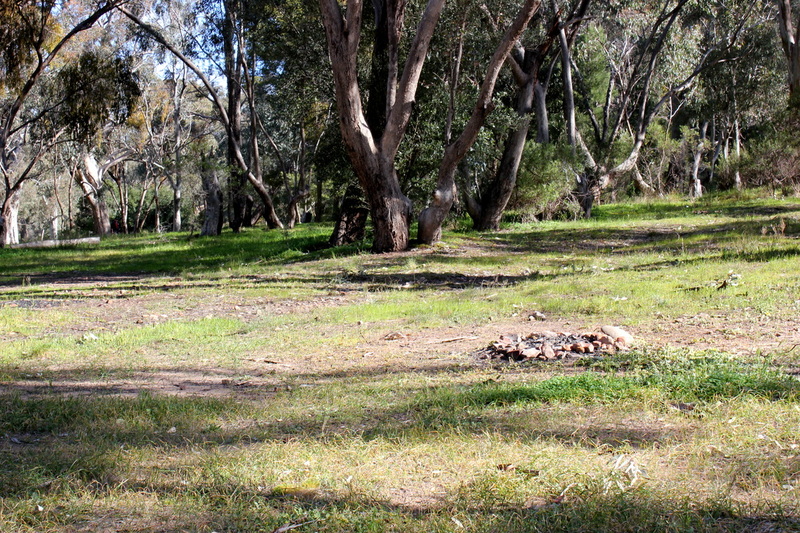 We would go back again because the bush camping side of the Caravan Park is a nice little part of Melrose, and remains close enough for a quick weekend from Adelaide. To find out more - you need to contact the caravan park.